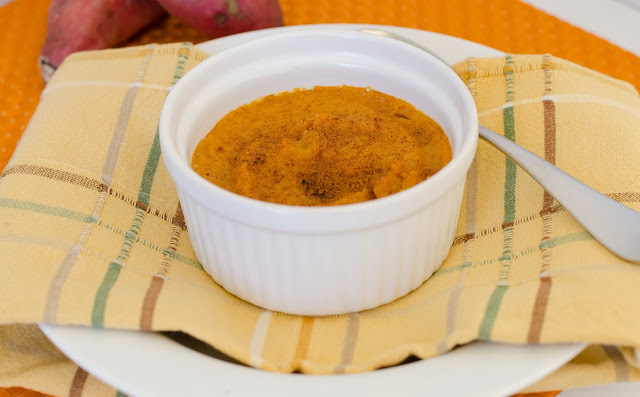 How can you go wrong with a sweet potato? They are almost the perfect food. too happy that he'd have to give up this "out of this world" sweet potato. Of course I knew I needed to adapt it. He said I nailed it...and that it was even better. Can't beat that praise, especially when it's healthier! Mash sweet potato with a fork in a large bowl. Add the honey and mascarpone and mix with a hand mixer until well blended. Add the spices and then fold into mixture. Put the mixture in ramekins, sprinkle lightly with additional cinnamon, and bake for about 20 minutes.